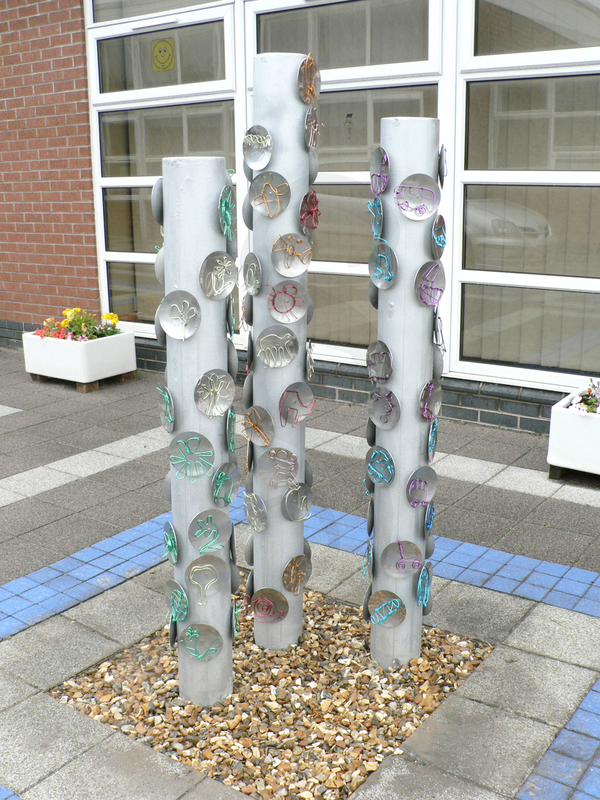 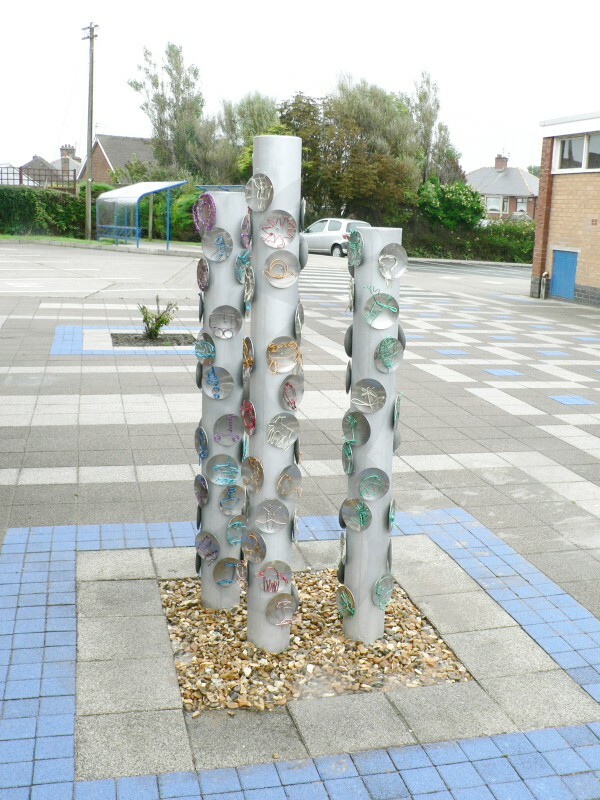 The project was part of a curriculum sculpture module and involved creating a sculpture fromthe design and development stages through to the installation of the final idea. 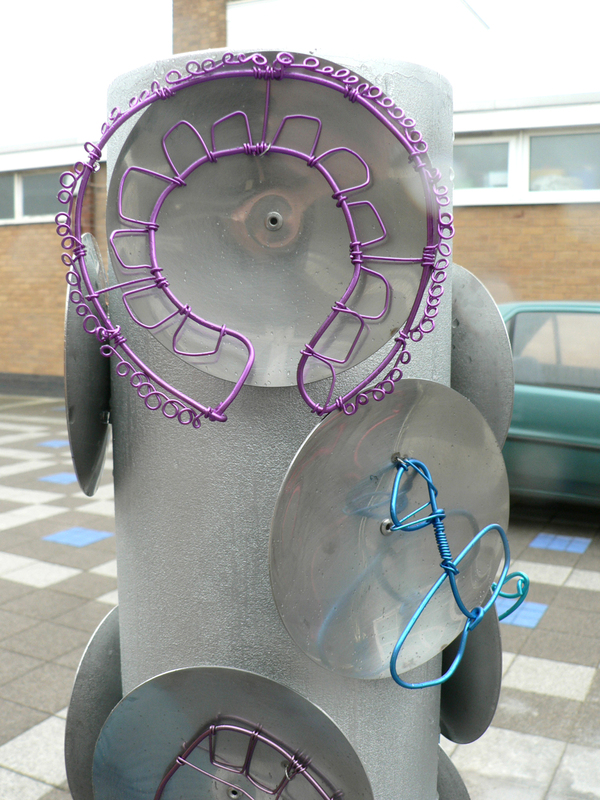 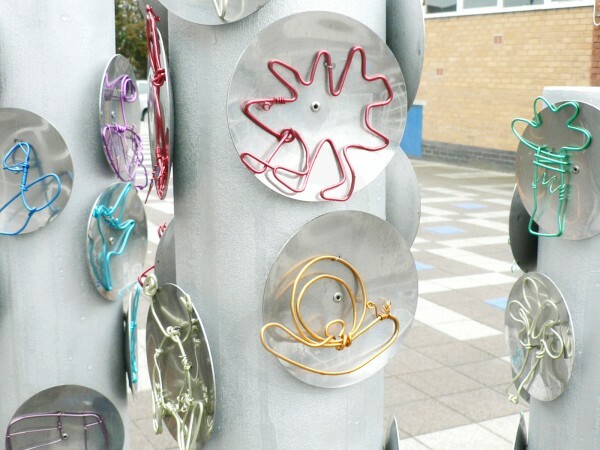 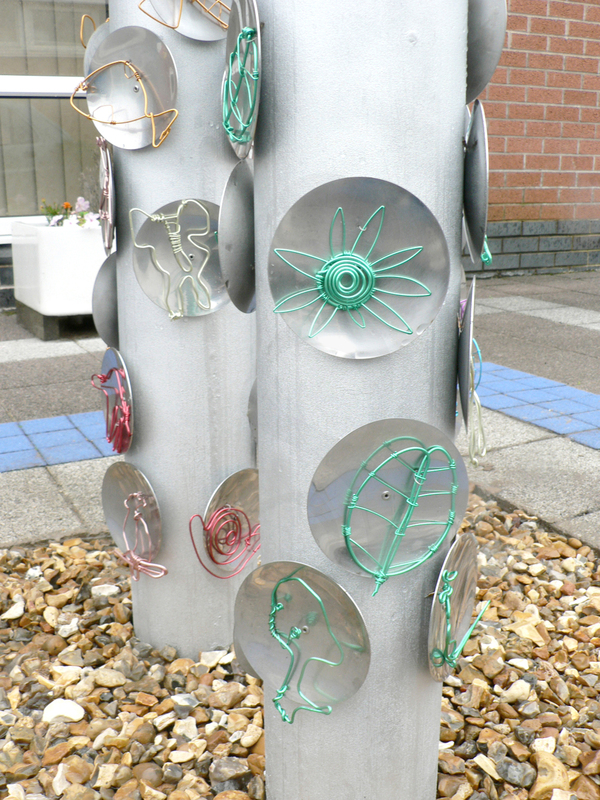 The children involved, took their design ideas and interpreted them into wire forms that were coloured through anodising and set onto stainless steel discs. 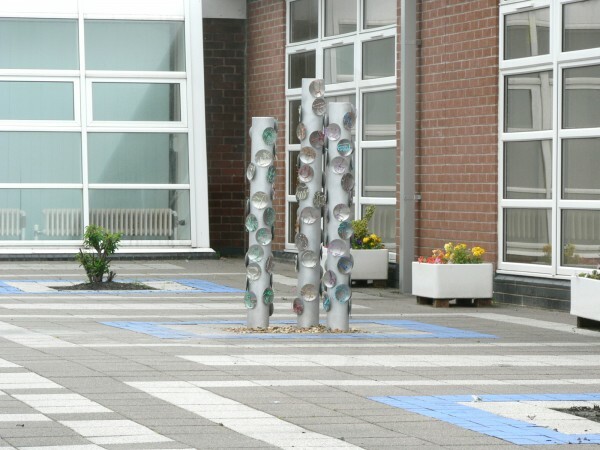 With the aid of the students, they were installed onto three steel pillars to create a sculpture reflecting the theme of ‘Protected Nature and Environmentally Friendly Transport’.